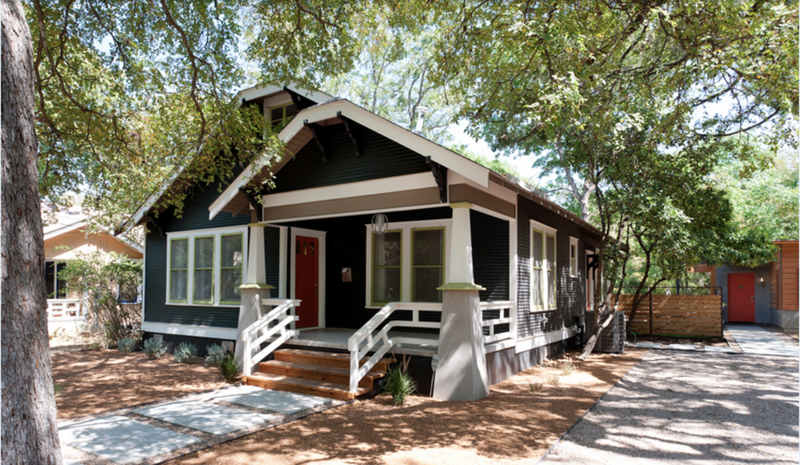 This 1940s bungalow in Austin makes for a great example of a floor plan made distinctive. Renovated by Rick & Cindy Black Architects in 2011, the project successfully updates this historic home to reflect the modern day lifestyle of its owners. Bungalows while being a classic style of house somewhat miss the mark with having floor plans that reflect the needs and desires of their present day inhabitants. Rather, they have floor plans that match the lifestyle of the time in which most were built - the 1930s and 1940s. Seems logical right right that the design of a house would reflect the times and lifestyles in which it was built? This, however, is generally not the case with new construction. McMansions, as I categorize them, are disassociated from their inhabitants. To summarize (because I could ramble on about this) they are big to be big and are in many ways more accommodating to a car than the people who live in them. In this case and with the bungalow style in general, the house has good "bones". Its size and scale promote the use of the whole house (point number one for Eck) and its interior relates to its exterior in its entryway, siting and window design (point number three and four). What is missing are points two and five which speak to how rooms relate to each other and the details of the spaces. 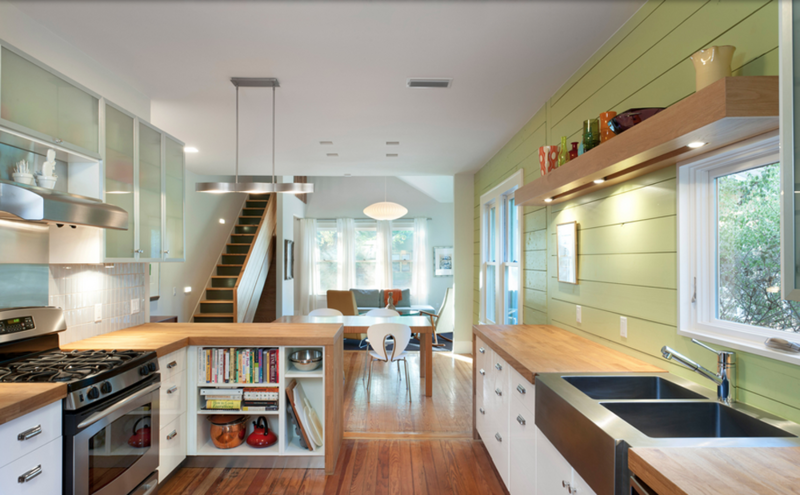 The points, however, are also achieved with the home's renovation design. 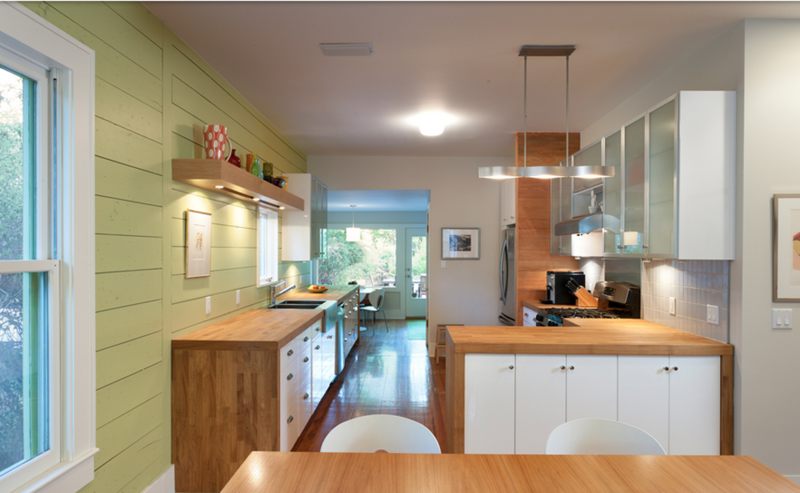 Walls were removed to create a more open floor plan allowing an ease and flow between the living room, dining room and kitchen. A new stair becomes a design feature adding not only better function (I am guessing that the original stair was quite narrow and probably in the back of the house) but a distinct design feature. The ceilings were raised to create an open, airy feel and a back hall is turned into a multi-functional space that includes a desk, storage and laundry. Below are a few more photos of the project as well as a floor plan. Enjoy!